Featured in Style At Home! 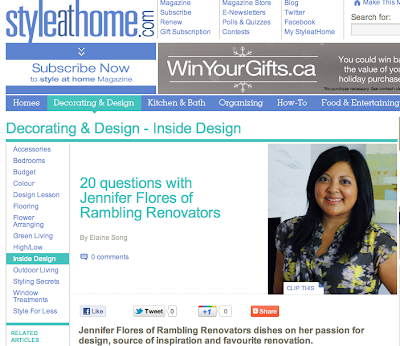 And if you're still not tired of me, well you're in luck because my house feature in Style At Home magazine will be in the February 2012 issue which will hit newsstands in mid January!! Hooray! I am walking on a cloud people. I am so very fortunate for these opportunities and I appreciate each and every one of you that drops by this old blog - without you, none of this would have happened.